Warning! Do not feed the dragon! 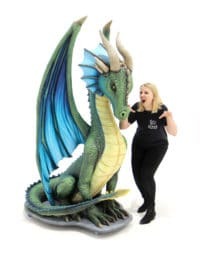 If you dare… our stunning sitting Dragon is available to hire for your fantasy themed events. This is perfect for Medieval, Fairytale or Game of Thrones inspired themed events. Pair with our Broken Columns, Smoke Machine and Red Wireless Parcan Uplighters to create a showstopping dragon’s lair. An exciting, memorable and fabulous prop; a perfect photo opportunity for the guests attending any event. This Dragon has a wheeled base to help move it about. 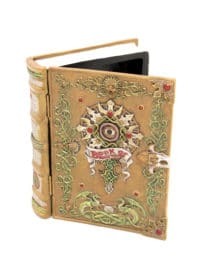 This is Magic Book is a perfect addition to any Witch and Wizard themed event. The book is hollow inside so perfect for storing small items. Why not pop our Snakes, Spiders and Cobwebs inside all the essentials needed to create the perfect potions and spells. Pair with our Giant Cauldron and Rack of Broomsticks to create a fabulous spooky setting. Life-size cow prop to hire. Suitable for Medieval, Western and Farmyard themed party events. 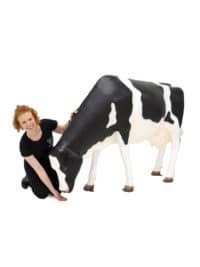 This cow prop is just one of a number of fantastic available themed props to hire within our Medieval, Western and Animals themed prop hire sections. Be sure to take a look! Please note: The markings &/or minor details may vary slightly cow to cow……they are individuals after all! Introducing our African Warthog available to hire. 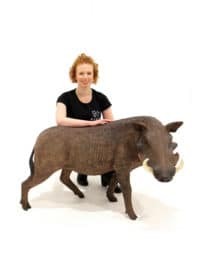 Our African Warthog is the perfect addition to your African themed event. It would look fabulous paired with our Fern Tree, Rocks and other African Animals. Wow! How amazing is this pair of Giant Welly Boots? 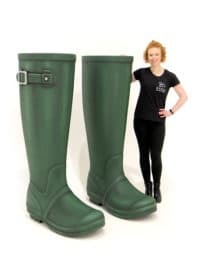 The Giant Welly Boots are an absolute essential prop for any Festival themed event. Available as single boots and also as a pair. It wouldn’t be Festival season without Wellies, so add these Giant Welly Boots to a festival seating area filled with Bohemian Rugs, Pouffes and Stools to complete the ultimate festival look. Alternatively, capture the essence of the countryside with our Giant Welly Boots. A small space at the top means there is room to add artificial foliage to create a perfect English Country Garden montage. Surround the Giant Welly Boots with our Flower Filled Grass Mound, Wood Chip and our giant Enchanted Flowers to great a fabulous country garden look. Remember don’t forget your wellies; A striking, fun, memorable prop to have at your event! Wow! 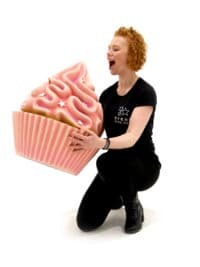 Doesn’t this Giant Strawberry Cup Cake look good enough to eat? Tempt your guests with a large selection of giant Sweet Treats. Pair with our Giant Lollipops, Liquorice and Gummy Bears to great a fabulous, colourful sweetie montage. Great addition to any Charlie and the Chocolate Factory themed events. Top Tip! Why not add our Pink and White Stall Cart to your sweetie montage and fill it with treats for your guests. This Giant Tortoise is a perfect addition to any animal-themed event that you are doing. Want your guests to feel like they are on safari, pair our Giant Tortoise with our Medium Fern Plant and Rocks to create a great animal montage. Calling all Dino fans!!! We have a Velociraptor Dinosaur Prop to hire. Perfect for any Stone Age, Dinosaur or Prehistoric event. 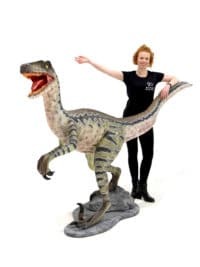 If you are looking to create Jurassic Park inspired event then look no further our Velociraptor is a must have Dinosaur to have at your event. Pair with our Fern Trees, Fossil Table and Chairs and Stacked Rocks to create a perfect montage for your guest to interact and have photos with. Watch Out! This Cobra is ready to pounce! Our Cobra is the perfect addition to your African themed event. It would look fabulous paired with our Fern Tree, Rocks and other African Animals. 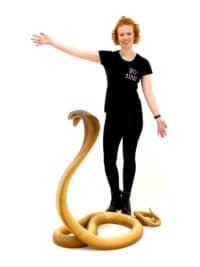 Scare your guests with this fabulous Cobra prop. 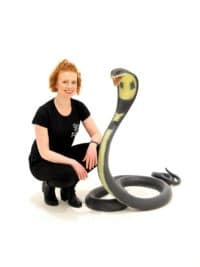 We also have this Cobra in a different colour so why not hire both and have them either side of the entrance to your event. 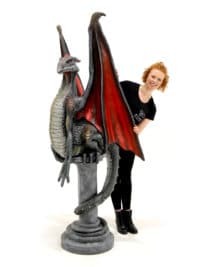 If you dare… our stunning Dragon on Plinth is available to hire for your fantasy themed events. This is perfect for Medieval, Fairytale or Game of Thrones inspired themed events. Pair with our Broken Columns, Smoke Machine and Red Wireless Parcan Uplighters to create a showstopping dragon’s lair. An exciting, memorable and fabulous prop; a perfect photo opportunity for the guests attending any event. 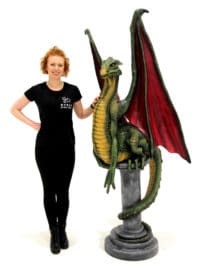 Our Dragon on Plinth is also available in different colours so you can hire a pair. A great entranceway to any Medieval themed event! Calling all Dino fans!!! We have a Brontosaurus Dinosaur Prop to hire. Perfect for any Stone Age, Dinosaur or Prehistoric event. 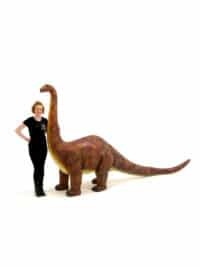 If you are looking to create Jurassic Park inspired event then look no further our Brontosaurus is a must have Dinosaur to have at your event. Pair with our Fern Trees, Fossil Table and Chairs and Stacked Rocks to create a perfect montage for your guest to interact and have photos with. Our beautiful and super magical White Unicorn is available to hire. 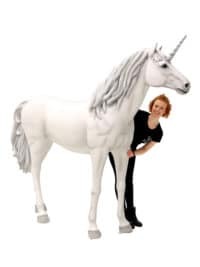 Add this striking unicorn to your Harry Potter, Enchanted Forest and Fairytale themed events. This would look stunning in amongst our Birch and Willow Trees, imagine within the greenery this magical White Unicorn shining through. Add Wireless Parcans to up-light and highlight our Unicorns beautiful features. A great photo opportunity for your guests next to this legendary, beautiful creature. Top Tip! Make you Enchanted Forest feel even more magical with our Illuminated Globe Lights lit in different colours to bring soft glows of bright colour into your lush green setting. These beautiful Living Wall Panels are the perfect backdrop to add a touch of greenery to any event. Bring the outdoors in with our Living Wall Panels, made up of a varied mix of leaves and foliage adding lots of different textures and colours to each panel. These would work perfectly as a backdrop to a photo montage with a collection of our Jungle Animals. Imagine your guests having photos in front of this luscious green panel or creating a barrier of greenery around a woodland seating area, they can be used in so many different ways. The Living Wall Panels are super versatile and are available in both single and double height. 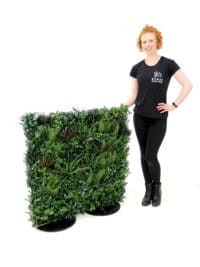 Please note that the price quoted is for one double height section of Living Wall. The Living Wall Panels are super versatile and are available in both single and double height. 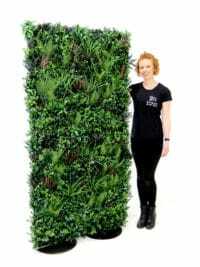 Please note that the price quoted is for one single height section of Living Wall. Replica Orange Tree Tree to hire. This is the perfect prop for a Mediterranean themed party night or a beautiful wedding. Dream about being laid out on a sun-bed, on a beautiful verandah, the sun beating down…not a care in the world. Make your guests feel like they are on holiday with this beautiful Orange Tree. Perfectly paired with our Bistro Table and Chairs and White Balustrade for a beautiful Mediterranean setting themed look. 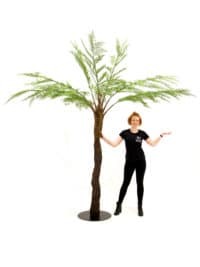 This artificial tree is a fantastic prop and it will look great at your themed event. Ahoy shipmates! 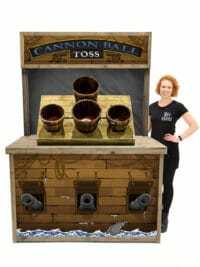 Shiver me timbers… We have ‘ere a Cannon Ball Toss Fairground Game for hire. Our Pirate themed game is a perfect, fun addition to entertain your guests at any event. Perfect paired with some of our key Pirate themed props such as our replica wooden barrel, ship’s wheel and a treasure chest. If you don’t win then… walk the plank!!!! Make your event memorable with this fabulous Cannon Ball Toss Fairground Game. This replica plant would be a great way to add a touch more greenery and nature to any event which calls to have a little of the outdoors, indoors! Why not take a look at our other plants in our Plants & Foliage theme to see what other replica plants we have in stock? 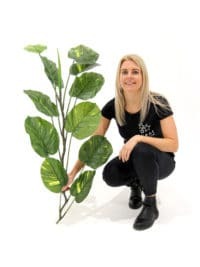 Large Leafed Philo Leaf Plant to hire. 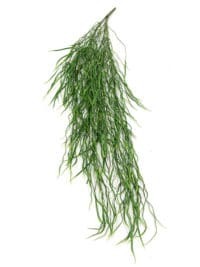 This plant is perfect as a filler item for any event that requires a little greenery to help set the scene! 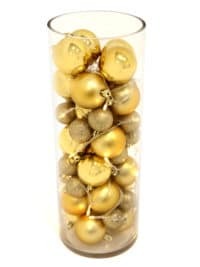 We love these Bauble Table Centre’s! 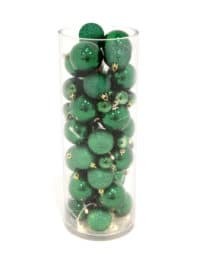 Complete with battery fairy lights these Bauble Table Centre’s are a great centrepiece to any Christmas events. Get your guests feeling Christmassy with these festive table centres that are available in Red, Gold and Green. The soft glow of the fairy lights will add a lovely dash of light to each table making the space even more inviting. 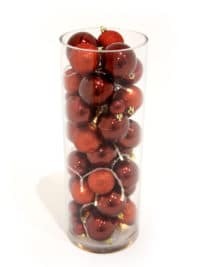 These Bauble Table Centres are a perfect addition to any Christmas party. 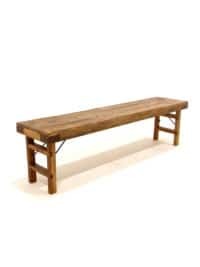 This stunning Chunky Rustic Folding Bench is the perfect addition to any event looking to achieve a real rustic look. We also have a matching table to create a lovely seating set. Add our miner’s lantern to the centre of the table and drape goat hide over the bench seats, creating a perfect ski lodge seating area. Pair with our vintage skis and alpine fireplace to create a super cosy atmosphere that will have your guests feeling like they have stepped into an alpine chalet. Please note that this is a natural product and as such, each bench will be different from the next. 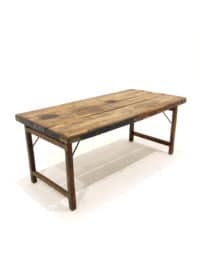 This stunning Chunky Rustic Folding Table is the perfect addition to any event looking to achieve a real rustic look. We also have a matching bench to create a lovely seating set. Add our miner’s lantern to the centre of the table and drape goat hide over the bench seats, creating a perfect ski lodge seating area. Pair with our vintage skis and alpine fireplace to create a super cosy atmosphere that will have your guests feeling like they have stepped into an alpine chalet. Please note that this is a natural product and as such, each table will be different from the next. Wow!!! 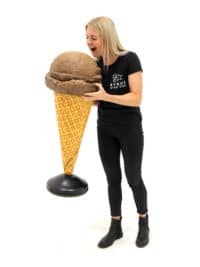 This yummy Chocolate Ice-Cream prop looks good enough to eat! 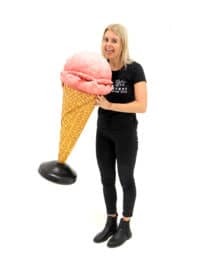 Hearing that familiar jingle of the ice-cream van and we know summer is here and what perfect way to celebrate than having a montage of sweet treats at your summer events. Pair with our Ice-Cream Van, Giant Deckchair and collection of Ice Lolly’s to create a fabulous summer montage. Make your guests feel like they are on their holiday’s surrounded by their seaside favourites. Also available as a Strawberry Ice Cream. Also available as a Chocolate Ice Cream. Wow!!! 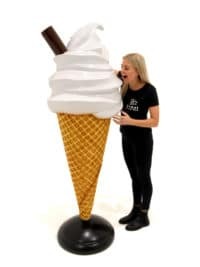 This yummy Whipped Ice Cream with Chocolate Stick prop looks good enough to eat! Border Collie Prop to hire. The perfect companion to have at any farm themed event. Pair with our dry stone wall, sheep and birch trees to create a fabulous English country garden feel. Our Border Collie Prop is 3D and freestanding. Woof Woof! 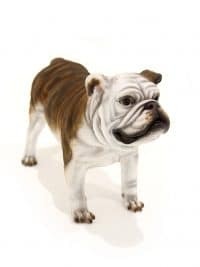 Bulldog prop to hire. 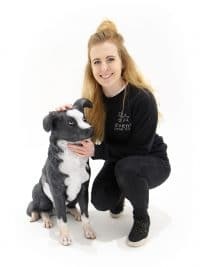 With our extensive range of dogs, you create your very own Crufts. Cuteness overload! This little fella is no exception. With his beautiful colouring and features – this is a perfect addition to any British themed event. 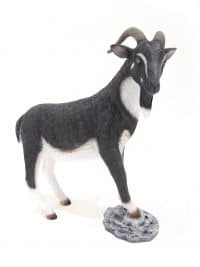 Life size Billy Goat to hire. This prop is fully 3D and freestanding and is finished in a hard resin coat. Perfect for your animal, farm or rustic themed event or party. Life Size Lion Cub Prop available to hire! 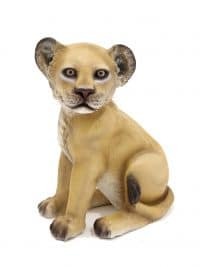 This life size Lion Cub prop would make an impact at any Circus, African or Narnia themed event. Take a look at some more of our animal props available to hire, including our beautiful Lioness, pictured opposite, or why not create a pride with our majestic Lion too. Life Size Lioness Prop available to hire! 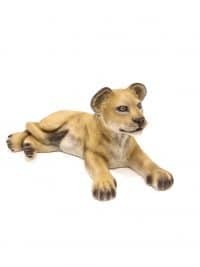 This life size Lioness prop would make an impact at any Circus, African or Narnia themed event. Why not have her at the entrance of your party to guard your event or inside the venue to welcome guests once they’re inside? 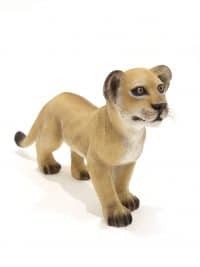 Take a look at some more of our animal props available to hire, including our beautiful cubs, pictured opposite, or create a pride with our majestic Lion too.